WHAT DOES AN ARTICLE SUBMITTER DO? An Article Submitter is a cost-effective software that submits articles simultaneously to article directories. This provides a substantial amount of exposure, therefore, increasing traffic to your website. It saves time and is well organized allowing you to target your audience. An article submitter service rapidly submits content relevant to a company’s products or services to numerous submission directories for greater exposure to a wider audience. Directory submission is a powerful, SEO (search engine optimization) technique that puts articles into a sort of database to help increase page rank on search engine returns.Regularly submitting articles containing keywords germane to your business to submission directories can significantly drive more traffic to your website while enhancing domain authority. In addition, article submission services steadily improve your reputation as an expert in your particular field. For example, if you own a roofing company, your articles should describe roofing materials, signs a homeowner needs a new roof and what could happen to your home’s structure if your roof is leaking. • Original, in-depth information about your products or services. Content should remain focused on one subject. • Keywords and keyword phrases. Percentage of keyword use in articles depends on the length of the article. Never “stuff” keywords into an article. Google will reduce your website’s page rank if its algorithm detects excess keywords in an article. • Articles at least 400 words in length. Google recently began preferring longer articles since they usually offer more detailed information and descriptions about specific topics. Unfortunately, the mainstream definition of (SEO) differs dramatically from what it really is.In fact, a lot of misinformation exists about SEO, primarily because of so-called SEO “experts” telling website owners what they want to hear by making SEO sound easy to do. In fact, SEO is not just about inserting keywords at the beginning, middle and end of your articles. Before submitting articles using an article submitter, learn about SEO techniques or enlist the help of a company specializing in writing SEO articles. Google now emphasizes the importance of back links, or links to another website. Article submission directories permit businesses to submit articles with live links in visible resource box. This means article directories benefit from receiving content for free while companies benefit from advertising back links for free. Pages/articles with many backlinks tend to rank higher on Google and Yahoo. When including back links in your article, make sure they represent high-quality sites, such as sites ending in .edu or .org. Linking to low-quality sites (automated, spammy, poorly written) will affect how your site ranks on a Google search query. • Establishes your website as an authoritative, “go-to” website concerning information about a particular industry or field. What Else Can an Article Submission Service Do For Your Business? Article submission services offer organic SEO experts who analyze websites to gain a thorough understanding of a company’s niche. Then, they will determine which keywords, keyword phrases and/or long-tailed keywords are essential for establishing and attracting high-quality links to your website. Only the most relevant keywords/keyword phrases can engage Google’s complex algorithm to rank your site as high as possible and bring thousands of new visitors to your website.An article submission service will also search blogs, forums, blog networks and article directories with categories associated with your business and provide a prioritized list of potential directories for you to consider.Writers working for professional article submission services are available to develop SEO articles so you don’t have to worry about writing them. 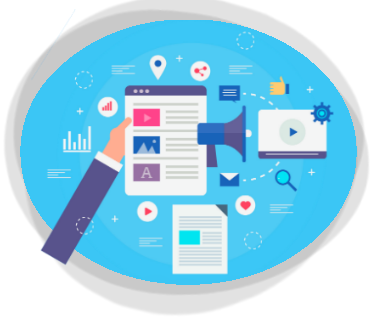 In addition, using article submission service writers guarantees approval of your articles since they are intimately familiar with organic SEO guidelines. Your customized articles will also include maximum numbers of allowed one-way links. When Google receives a query, it immediately begins “crawling” over the billions of websites available on the Internet, searching for high quality, fresh content. Google’s algorithms factor in how static, or stale a site is by when a website was last updated with new pages, original content or incoming links. Businesses that neglect to publish new content at least once a month will inevitably find their rankings reducing rapidly in comparison to competitive sites that perform frequent updates.General web pages, or pages offering “evergreen” content that could be used indefinitely because content contains no specialized information, is frequently used by companies who do not want to add content regularly. Although business owners may think they are saving money by incorporating generic content that never needs revising, this kind of content marketing “strategy” will do nothing but encourage Google’s search crawler to run quickly past it and onto more dynamic, well-written and professionally marketed articles.Evidence that Google prefers consistently refreshed sites can be found when studying news sites that update their content every day or even several times throughout the day. Websites providing news alerts, sports scores and stock information that changes every hour always rank higher than other, less dynamic sites.One of the biggest mistakes made by website owners not taking advantage of an article submission service content marketers is thinking they are optimizing page rank by simply inserting the same keyword in every paragraph of text. Unfortunately, Google’s algorithms reject that kind of simplicity and now insist keyword choice and keyword placement accommodate a precise set of content-driven formulas focusing keywords/keyword phrases attracting continual traffic. Article submission services study principles of SEO to determine the level of title competition as well as the number of monthly searches garnered by keywords or keyword phrases. SEO competition is equally important to ranking websites since it provides the total number of pages accessible by a search engine based on matching keywords found in the site’s content.